Global warming and its’ effects are increasing coral diseases and coral bleaching, in addition, overfishing and poor tourism management techniques are a major threat to the reefs as well. But now, in this decade, the coral reefs and its balance find themselves in severe danger with the invasion of the Lionfish Pterois volitans and Pterois miles. Originally from the Indo-Pacific, the Lionfish that can grow up to 15 inches, weighting about 2-3 pounds & has a life span of 15 years. This dangerous fish puts the ecological balance of the reef at risk. Lionfish have been observed eating 20 fish in only 30 minutes. 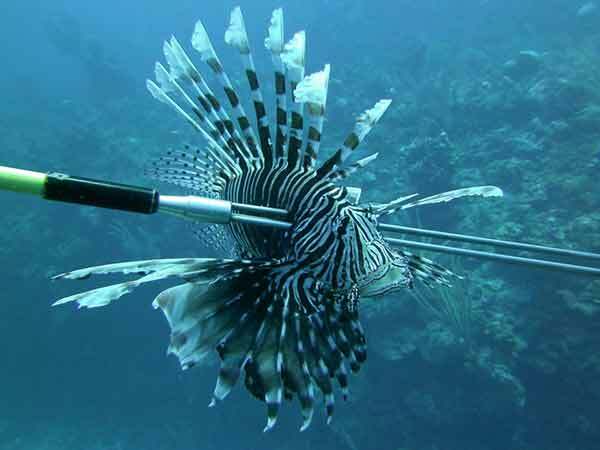 According to some studies, the Lionfish can kill three-quarters of a reef’s fish population in just five weeks. In other words it is estimated that a Lionfish can kill 80% of a coral reef’s fish population, and these are small fish approximately 2/3 its body size. This is devastating for any reef fish population. 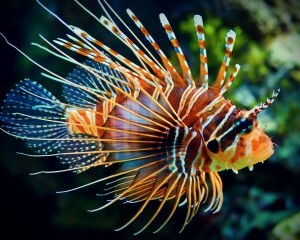 Studies emphasize the voracious diet of the Lionfish as the juveniles of the species mostly consume huge quantities of invertebrates and when mature they eat almost any kind of fish. They basically eat all in their way destroying the balance and biodiversity in any Caribbean reef. Sadly for the Caribbean and Atlantic waters, the introduction of the Lionfish and its reproductive cycle has been very successful. 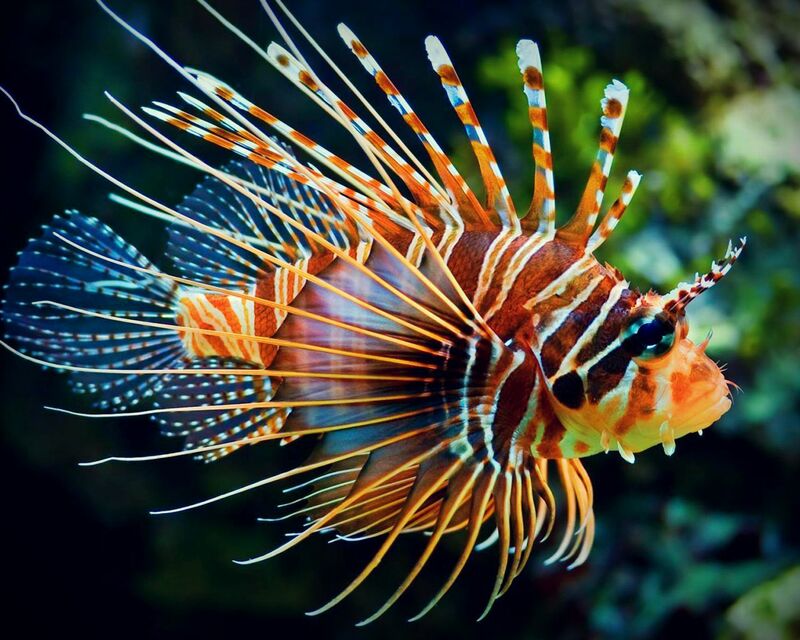 Lionfish have few if any predators allowing their population to grow unchecked. Breeding females have been caught in Caribbean waters each bearing up to 20,000 eggs per spawn. They have been found to spawn every four days. This is an alarming rate! The presence of Lionfish reduces the population of fish that eat algae on the coral reefs; as a consequence the reef itself is at risk due to unchecked algae growth causing an ecological unbalance allowing the algae overgrowth to suffocate corals, and blocking the growth of new of coral. Since the Lionfish is not native to the Caribbean, natural predators to control its population are not present. This means that is we do not ACT NOW AGAINST THE INVASION, soon the Lionfish will dominate the reef and take away all its uniqueness. 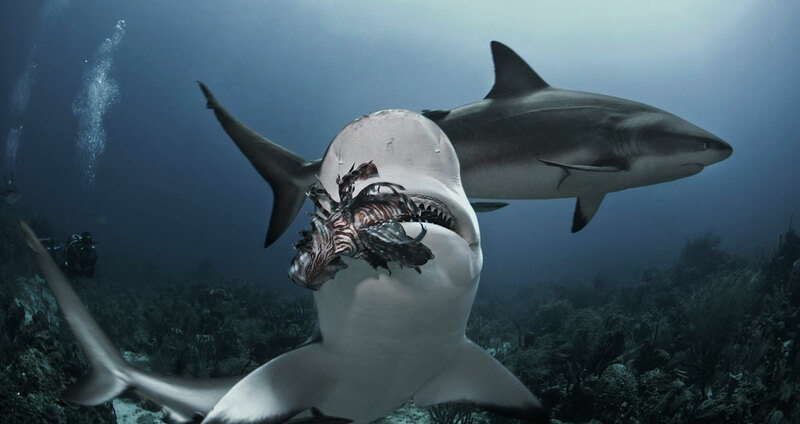 There have been reports in the Bahamas as well as in Cozumel, Mexico; where the Lionfish have taken over reefs starting with only one Lionfish and rapidly reproducing to a dozen specimens in10 square feet! Puerto Rico’s coral reefs cannot afford this kind of reef devastation caused by the Lionfish. The Lionfish is highly territorial, once seen in a specific spot it will be normally inhabit the area for up to two weeks. Prepare a spear and carry it in your dives, and if you see a fish kill it on sight (the best reward is to eat the fish and have the satisfaction of having helped save our reefs). Notify the appropriate agency when you see a Lionfish. 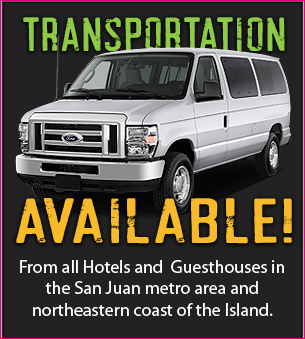 If you are in a tour, notify your dive master if a Lionfish is spotted. Remember to always go with diver operators that protect the coral reefs and have good diving practices. 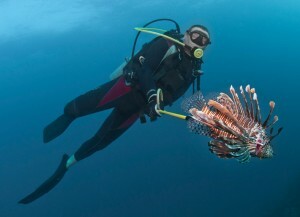 Donate money to the agencies that are fighting the Lionfish invasion. Be careful when handling a Lionfish, remember that they have poison in their fins and spines! If you get stung by the Lionfish, apply heat as fast as you can in the affected area and seek medical attention.